I remembered a few months back, my best friend, Jae Hashim been going around town looking for the best user and material friendly iron, as his iron was out of commission. Being an executive, one has to look sharp and on point all day long. So donning a complete, clean, tidy and ironed attire is a must. Believe me, when I say that it is not an easy task to look for an electrical good that is reliable. Is this how you feel everytime you need to iron? A few years back, I have bought a garment steamer just because I love how it work on the garment - so easy just like the salesperson said. After a few months, I had to look for another iron because the end result of my using the steamer was not as on point as I wanted it to be. It does remove wrinkles (not efficiently) but I still have to use the iron to get that 'ironed' look on my shirts and pants. Thank God for Tefal latest garment steamer Tefal Instant Control IS8380 that managed to solve my problems with the garment steamer. Not only I have managed to get the 'ironed' finishing look on my pants and shirts, it cut my ironing time into half. 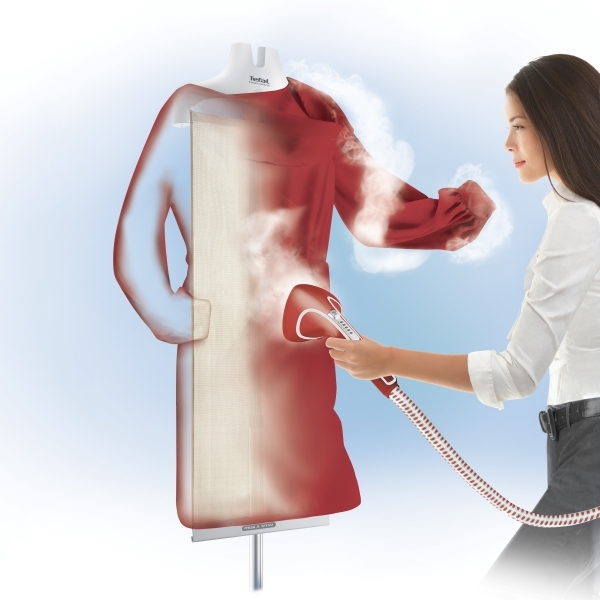 The new garment steamers are made for simplicity seekers and high-tech enthusiasts who want to quickly and efficiently remove wrinkles, as well as refresh and sanitize their garments. 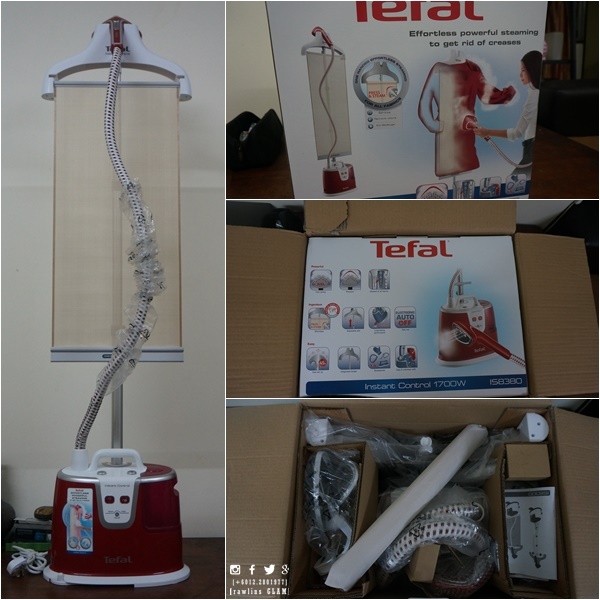 Thanks to its perfect steaming technology, the Tefal Instant Control garment steamer range targets parents and individuals who want to own a trendy, well-designed product that is able to ease ironing chores and look good at the same time. How does it help to cut my iron time to half? Thanks to its world exclusivity innovation, the 'Press & Steam" vertical support that provides a flat surface for garments to lie on and holds them in place. The easy rolling material is made of a highly heat-resistant glass fibre and polytetrafluoroethylene (PTFE) coating fabric that makes it perfect to resist heat, steam and stretches. Tefal Instant Control IS8380 is able to produce steam up to 35g per minute within 45 seconds, garnering 60 minutes autonomy to remove wrinkles and odours and at the same time, sanitize and kill bacteria or bedbug on all kind of fabrics! Talking about being multi-purpose! The steamer has a high-tech XXL Delta metal steam head with a pointed tip for efficient wrinkle remover on all fabrics and the large head makes it faster to steam as it covers a wider area. Hence, cutting my ironing time to half! As you can see from the video, Tefal Instant Control IS8380 has 5 variable steam settings that certainly makes your life easier. I choose steam number 5 so that I could steam faster. For safety measure, Tefal has also designed the ingenious Electronic Auto Off feature that switches off after 8 minutes of dry water tank to avoid it from heating out. Talking about a smart steamer! Tefal Instant Control IS8380 has a remover 1.7 litres water tank and is designed with an intuitive control panel that signals the user when it is steam-ready and when the tank is empty. The Tefal Instant Control IS8380 garment steamers come with accessories such as a fabric brush that opens the thick weave of the fabrics for a better steam penetration as well as gloves to avoid burns and protect hands from hot steams. On the other hand, the Tefal Instant Control IS8380 will have two additional accessories: a storage pouch, a crease attachment that assist users to easily create pant creases, and a lint pad that effectively removes hair, lint and animal fur for a professional finish. The modern, sturdy and high-performing Tefal Instant Control IS8380 is available in main department stores and electrical specialists at the retail price of RM799. Thanks for sharing! I am actually looking for a good garment steamer for my mum to use. Tefal Instant Control IS8380 sound great !! This is a nice product! I must buy one soon. I need something like this... Ironing is the household chores I hate most..
Definitely heard a lot about Tefal. Its a really good brand with pretty good reputation. Looks like a great product from Tefal. I want to get it too. Save my times and energy to iron my clothes. I have one of the steamer like this and its very convenient and fast to use especially for busy people like us. This is a must have electronic product! 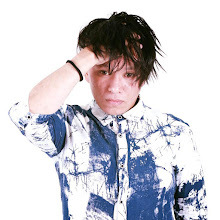 Dislike flatboard iron which is heavier for skinny me and time consuming. Normally this kind of steamer is very expensive. 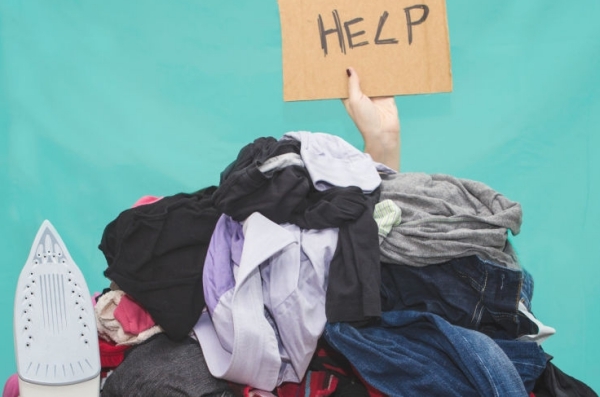 But it really convenient to "iron" tons of clothes in shorter time. Some garment steamer just don't work as well as advertised. I hope this one by Tefal would be better becoz I do need one for my clothes. whaa..tefal! i need this too. actually was looking for one. will add this to list.